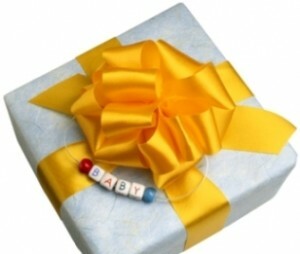 If you have someone throwing a baby shower for you, you may be thinking about baby shower hostess gift ideas. According to etiquette, there is no need for you to offer any gifts. It is enough to give the hostess a thank you note after the shower. This is usually applies to the surprise showers and in case there are several hostesses. Although you’re not expected to offer any gifts, most probably the hostess or the hostesses would appreciate some small gifts as a sign of your appreciation. If there is only one host, you could bring some flowers. Preferably this should be in a vase, so that the host would have fewer things to do. Besides flowers you could also think about a plant. Another good idea that you might like is a bottle of wine. This way you can make sure that the hostess will enjoy the after party. If you have the shower at a restaurant or there were several women working on the shower, think about small gifts that are easy to carry around. When thinking about hostesses’ gifts after baby shower consider the fact that after the shower is over, the hostesses may have to carry home certain things, such as folding chairs, leftover foods, games or decorations. This way they could have their hands full. It is important for the gift to fit into their purse or for it to fit into a gift bag. In the majority of the cases women opt for a box of chocolates, homemade goods, coffee or coffee gift cards, candles, stationary, grab bag that comes with travel size lotions or other beauty products, candles, manicure and pedicure supplies, and so on. If there are numerous hostesses and you don’t know all of them that well, when it comes to the baby shower organizer gift ideas you should consider giving them something simple and inexpensive. You don’t have to spend a lot on huge gift baskets or personalized jewelry. It is possible that the shower was organized by several people and it takes place at the home of one of them. In this case the organizer’s gifts after the baby shower should be all the same, except for the one who offered to have the shower at her house. She should receive a more special gift. Naturally everybody has different opinions regarding the gifts for the organizers of the baby shower. While some women think that it is best to offer scented candles, others think that they cause clutter. In the same manner some women prefer coffee, while others go for tea. If you are thinking about gifts for baby shower organizers you should also consider that some women are very particular about the beauty products that they use, not to mention that some women don’t eat chocolate at all. You shouldn’t worry about the baby shower gift you should give to your hostess. In the end the gesture is what counts.